Ludicrous Speed! – Sunshine. Whimsy. Tacos. I am amazingly, ridiculously fond of German television. For one thing, you never know what you’re going to find. I was flipping channels the other night and I stumbled across an honest-to-goodness ‘you got served’ style multinational dance-off. The Israeli dance crew’s name is- and I’m not making this up- Kosher Flava. Also, break-dancing is back in style. I’m not really sure when that happened; nobody sent me a memo. 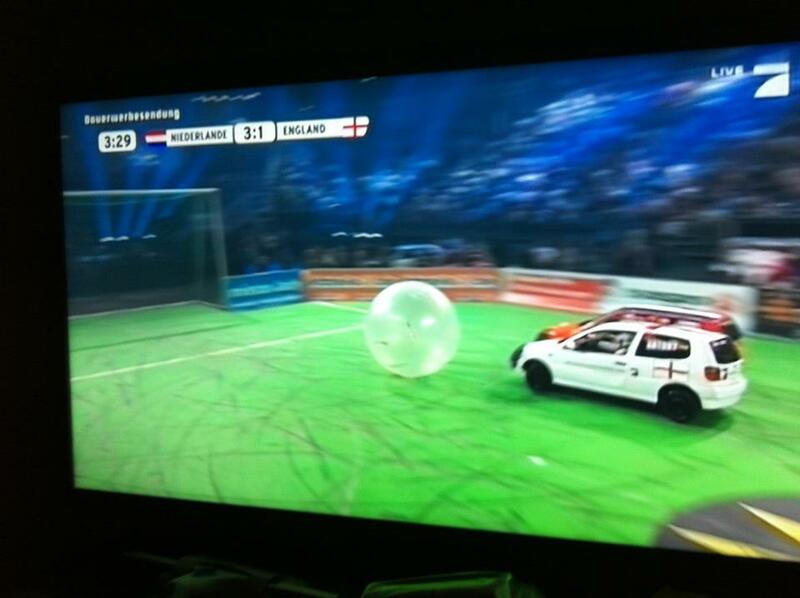 A few weeks before that, I was flipping through the channels, and I stumbled across a form of soccer that was played with two small cars and a giant inflatable ball. This was also supposedly multinational, with the competing nation’s flags painted on the roof of the car. German television is always full of surprises. Another thing I love about German television is how much of it is dubbed American television. There are shows airing here for the first time that have already concluded on other networks- the recent BBC shows Robin Hood and Merlin started here a few months ago. There’s also a lot of the shows that I watch in English, also dubbed- Community, Big Bang Theory, How I Met Your Mother, the Mentalist, the Simpsons, Family Guy, at least four different CSI/NCIS style shows. The Vampire Diaries. It’s all on here, dubbed with German voices. Some of the voices are very good. The German dub actor for Neil Patrick Harris sounds just like the original. For that matter, the entire How I Met Your Mother voice cast is pretty brilliant. The night before last, I stumbled across a masterpiece of German television: Traumschiff Surprise. I think that I must learn more fluent German, if only to truly understand this brilliant and breathtaking masterwork. Here’s the trailer for Traumschiff Surprise- it really has to be seen. I saw Traumschiff Surprise on ProSieben this afternoon and fortunately, it was subtitled which made it easier to understand. It was awesome in a wonderfully campy way. Holy buckets, that looks amazing. 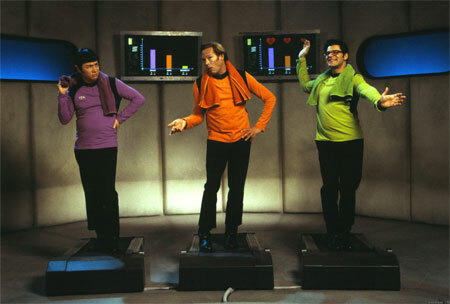 I need to do some more channel surfing. If I’m going to learn German, it might as well be in the most entertaining and absurd way possible.